What kind of iPad case do you need, folio style or one-piece designed hardshell case? If you like the former, let’s go on checking the handmade iPad leather case with army concho snap cover. 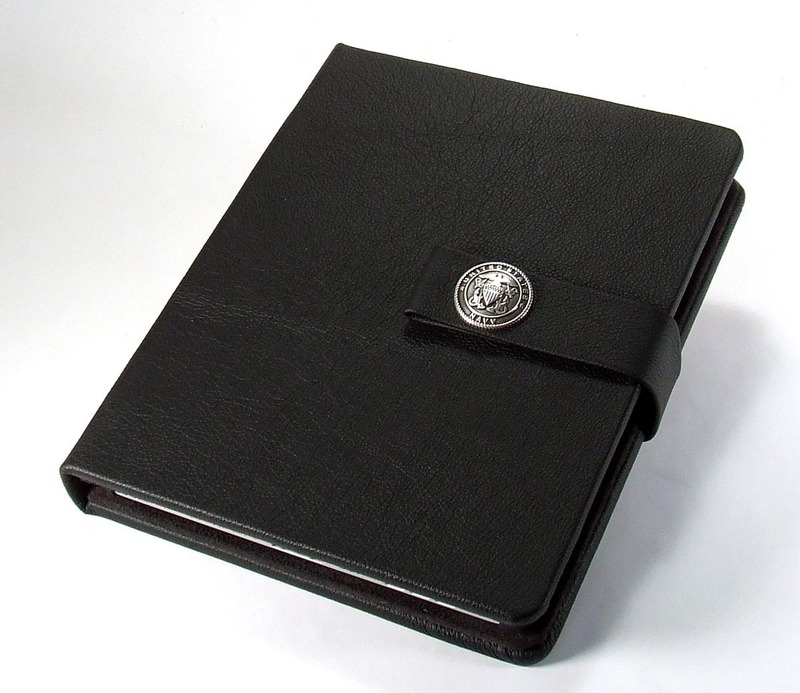 As shown in the images, this is an exquisite, handmade, folio styled leather iPad case. The iPad case is constructed of genuine cowhide leather, and comes with a customizable army concho snap cover. 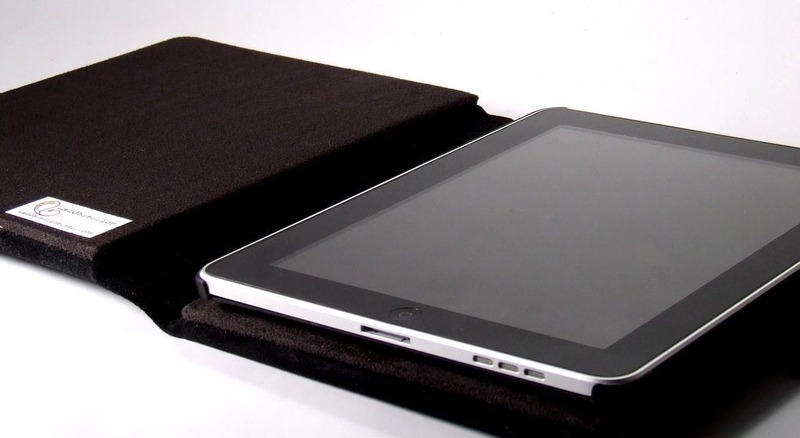 The interior is lined with soft suede, and features an additional hardshell case in order to hold the iPad in place and perfectly protect it from bumps and scratches. Once the cover is flipped back, the leather case doubles as a solid iPad stand for your video viewing. Besides, the four-corner fixed design allows you to access all iPad buttons and port without any obstacle. The handmade iPad leather case is priced at $90 USD. If you’re interested, jump to Etsy for more details. 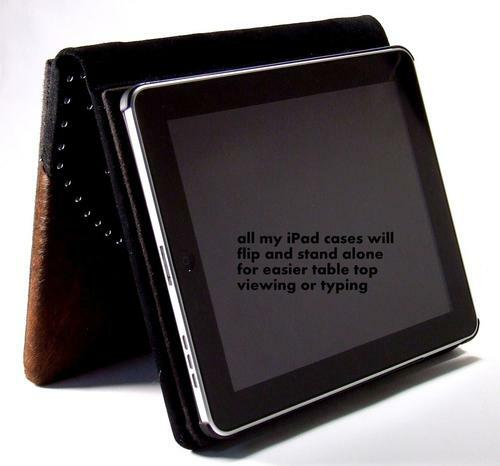 Additionally, if you need more options, you might like to check Tuff-Luv Saddleback iPad leather case, ZooGue iPad leather case, and more via “iPad leather case” tag.